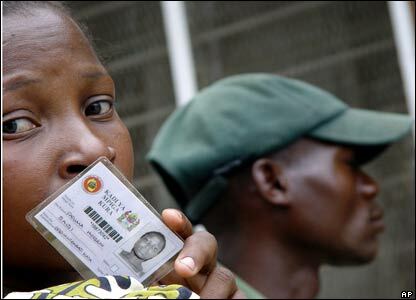 Turnout was high as Tanzania's voted in delayed presidential and parliamentary elections. 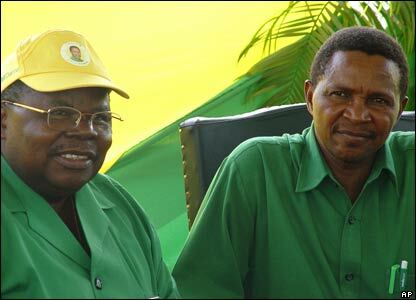 The elections were scheduled for October but had to be put off after one of the presidential running mates died. 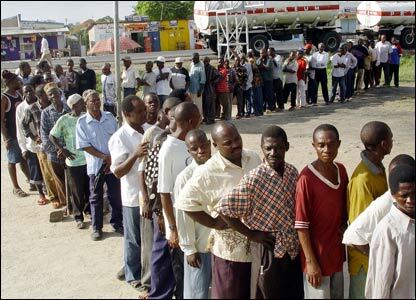 The long wait did not appear to dampen people's enthusiasm. 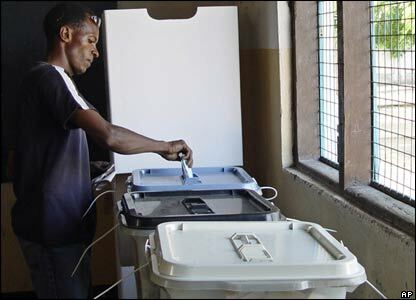 The voting was reported to be calm on the mainland, although there was violence and allegations of fraud in Zanzibar. 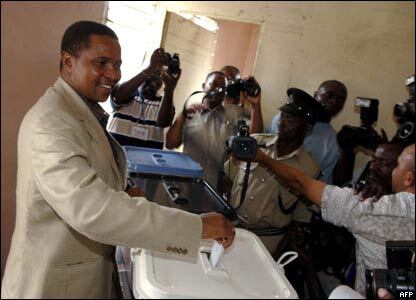 The ruling party candidate, Foreign Minister Jakaya Kikwete, is widely tipped as the next president - which would make him the fourth post-independence leader. He looked in good health despite a scare on the eve of polling when he collapsed at a rally - shortly after this photo was taken. He said he had campaigned too hard.